Have you ever wanted a smart LED display that could easily be lost in your pocket? The 490IP1 LED, produced in the former Soviet Union, is a likely contender for the smallest smart LED display in the world. This display has a built in decimal counter and 7 segment encoder etched into a single die, which can be easily seen through the LED's glass front. 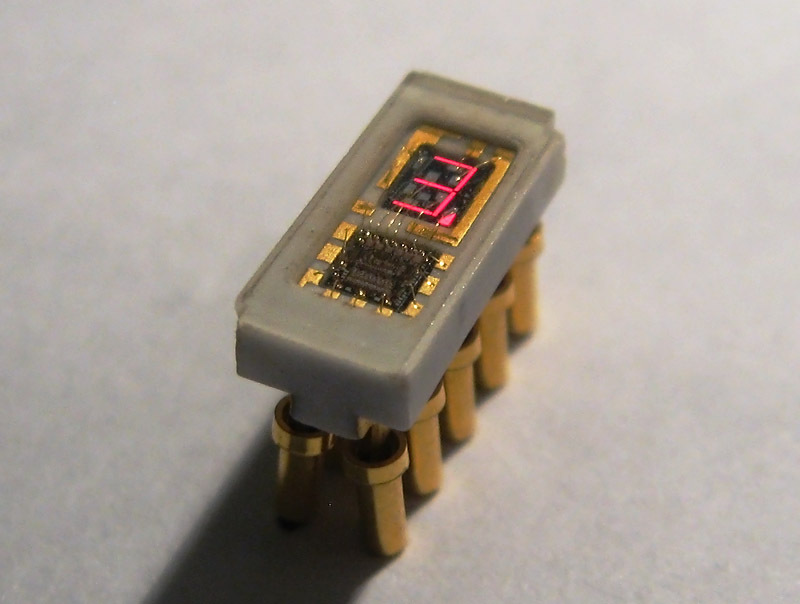 This display is insanely small; the digit height is only 2.5mm and this device is a tiny fraction of the size of electrically comparable decimal counter LEDs such as the Texas Instruments TIL306. The 490IP1 has a maximum counting speed of 1MHz as well as a carry output that allows multiple LEDs to be chained together. 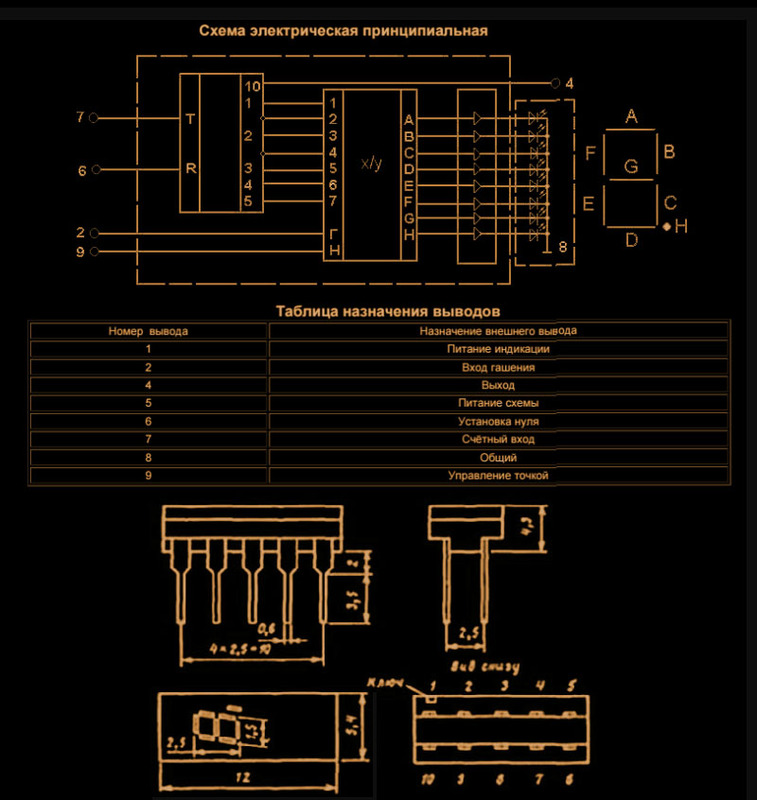 In effect, this LED can be thought of as a functional replacement for the Elesta EZ10B dekatron counting tube, though since the 490IP1 is not filled with chronically leaky hydrogen gas, it is likely a much more robust device. 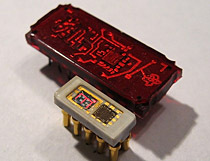 Since the display area of the 490IP1 is very small, the Soviets produced a companion external magnifier designed to work with this LED. The magnifier would clip to the outside of the display and provide a bubble lens over the digit area, to make the display easier to read. 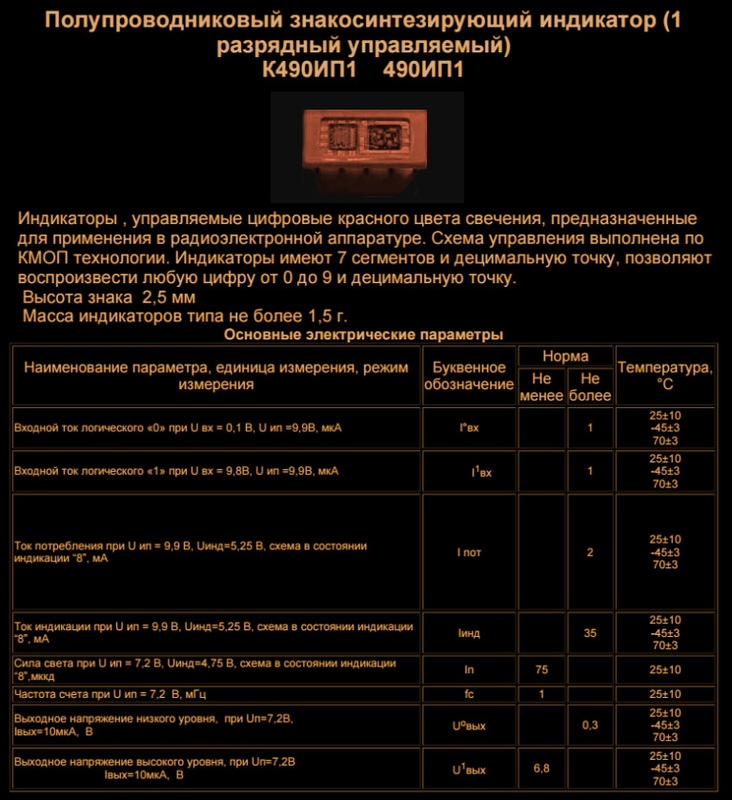 Soviet 490IP1 LED display, normal operation. 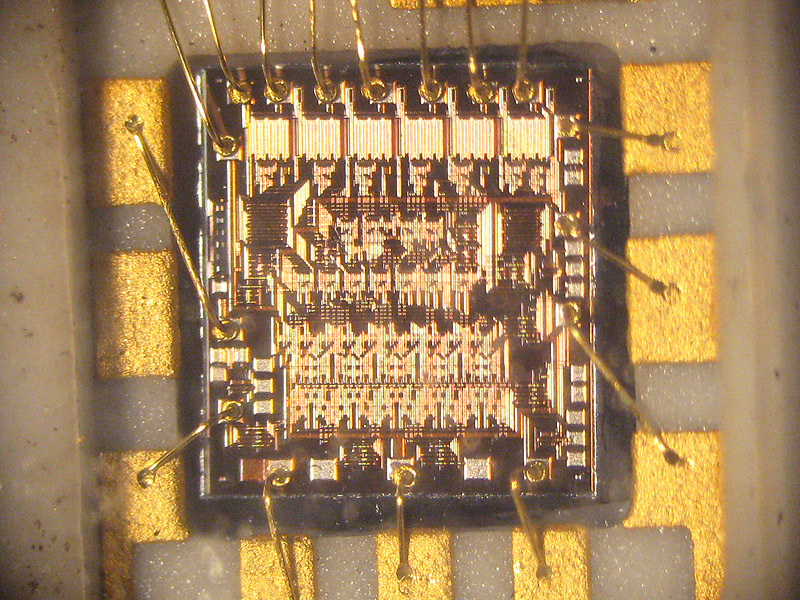 The 490IP1 is likely one of the smallest smart LED displays ever produced. This display uses a unusual glass and ceramic package with leads arranged in a very tight DIP configuration. 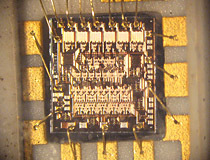 The built in logic die contains a decimal counter as well as a 7 segment decoder to drive the LEDs. Connection diagram for 490IP1 LED.